Arcata Pet Supplies is located in the heart of the Redwood Forest. Locals jokingly refer to our location as "living behind the Redwood Curtain". 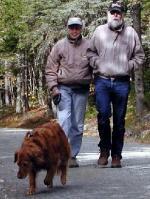 Being so far North and along the coast, we experience wet winters and foggy summers but we think it is a good trade off for a more relaxed way of life. The town of Arcata is a community of 15,000 residents at the north end of Humboldt Bay on California's north coast and is also home of Humboldt State University. The store first opened in 1972 under the name of Arcata Aquarium. It was a small aquarium store. The current owners, Don and Joy, were two of that store's first employees. In 1976 Don and Joy took over the business and added a few products for other animals to the shop's inventory. 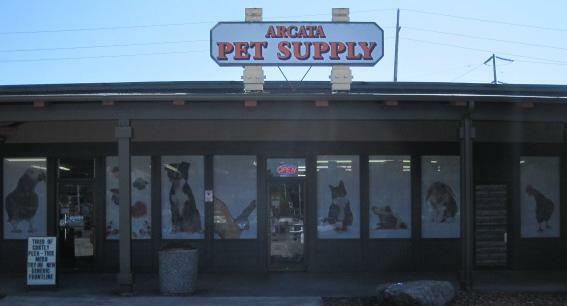 As the store evolved, small animals and birds were soon added as was the name Arcata Pet. In 1984 we were one of the first retail pet stores to stop selling and supporting the wild bird trade. We maintained our own breeding collection of Blue and Gold Macaws, Amazon Parrots, African Greys, Cockatoos and Caiques right here in our store. As we have become more supply oriented, our breeding stock has been sold or sent to live in retirement with our employees. In 1997 we took the giant step of putting Arcata Pet on the Internet. We were not sure how well this would do, but now the Internet is a significant part of our overall business. Being located in a small town, we take pride in offering our customers the same small town pet store service that our local customers have come to appreciate and expect. Many of our local customers have been shopping with us since we started as a small fish and aquarium store so many years ago, making them part of the Arcata Pet family. 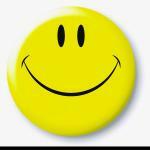 We hope that you, our online customers, will join our family. Dan - General Manager. 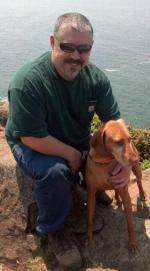 Dan has been with Arcata Pet since May of 1989 having moved to Arcata from Fallbrook CA, where he had worked in the pet industry since 1984. Having always had a passion about nature, he earned his degree in Environmental Biology from Humboldt State University with emphasis in Orniothology and Herpetology. Dan has been a licensed falconer since 1983 and has worked with a number of different raptor species. Dan and his partner share their home with Myrah the Vizsla, Daquita the Jack-huahua, Seven the African Grey Parrot, assorted cage birds, Dart Frogs and his Falconry birds. Chris K.- Sales Manager. Having relocated to Humboldt County with his two daughters from Bakersfield, CA. 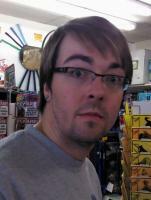 Chris became our Internet Manager in 2003. With past experience running his own aquarium store and managing the aquatics department at Walmart, he became a valuable asset to Arcata Pet. Chris has since earned a degree in Internet Technology. 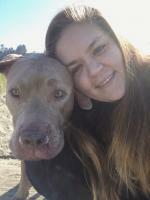 When not at Arcata Pet, he enjoys spending time with family and walking the beach with his chihuahuas Mojo and Koby. 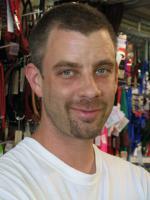 Jeremy - Floor Manager A North Carolina transplant, Jeremy has been with Arcata Pet since 2003. 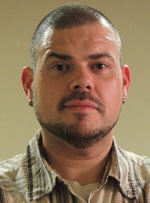 He earned his degrees in English and History, with a minor in CIS from Humboldt State University in 2000. He currently shares his life with 3 dogs and 2 adopted leopard geckos. Nick B. - Began working at Arcata Pet in 2008. A Humboldt native, he moved to Tuscon Arizona in 2010 and returned in 2012 after realizing there is no place like home. Nick brings extensive knowledge of reptiles and amphibians to our local customers and internet customers; not to mention his excellent sense of humor. Nick shares his home with his Cat "Bender", a Frilled Dragon, a Green Tree Python and a collection of Mantids. When he is not working he enjoys working in his garden and spending time with friends. Haley- Originally from the Bay Area, Haley moved up to the area in 2015. She shares her home with her 3 dogs, 2 cats, a ball python, a Kenyan sand boa, and a fantasy Pac-Man Frog. She also maintains a number of aquariums at home where she breeds assorted live bearers for resale. She is one of our well rounded employees who can answer any question regarding most aspects of your pet’s needs. Nate Nate came to Humboldt from Santa Clara, CA in 2013. Attending HSU Nate founded a chapter of the Kappa Sigma Fraternity and received a degree in Environmental Management and Protection. 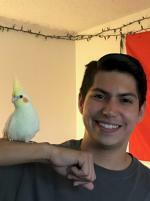 In his free time he enjoys spending time with friends and his Cockatiel Peaches. Seven - Joined Arcata Pet in late 2016. "She" was given to our store manager, Dan, after her previous owner passed away. Seven spends weekdays here at the shop and then goes home with Dan on the weekends. 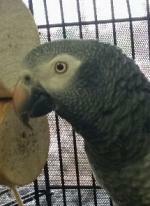 "She" is one of the most well adjusted African Greys we have ever seen, and we hope that "she" will provide years of laughter here at Arcata Pet.